Do you know your onions. Is fruit and veg your bag? Why buy a ready-made greengrocery business? You can jump straight into the market with a ready-made client base to help get you started. Fruit and vegetables has been one of the biggest growth markets with more people using fruit as an alternative to snack foods, attempting to implement healthier eating patterns. A greengrocer’s is generally thought of as an old fashioned business but this doesn’t seem to have diminished its appeal, greengrocer’s are still very popular and sales are rising. The perception among the general buying public is that a greengrocer’s will provide a better service and quality than a supermarket. Many enquiries into buying greengrocer’s come from people in the trade but that doesn’t mean you necessarily have to have experience to buy a greengrocer’s. It isn’t a complicated business that requires a good deal of specialist training but it should be part of the sale that the outgoing owner will give you some rudimentary training in how to run the business. You will need to know where the supply markets are and which ones the outgoing owners regularly go to. Any pointers that enable a smooth hand over will be to your advantage. The popular image of your friendly greengrocer who addresses you by name and always has time for a chat is not entirely a fallacy. You will have to be a ‘people person’ to be a success. As an ‘old-fashioned’ business, you need to make sure that your customers are getting old fashioned service. This means that you will need to provide reasonably priced, good quality products and employ sociable staff. Location is very important, the local greengrocer’s that services a housing estate is less likely to survive these days as people tend to drive to the local supermarket, this isn’t going to change but a greengrocer’s can make the most of its circumstances by having a good location, for example in a main shopping thoroughfare or a busy high street. Before you buy you should research your area thoroughly. Ask other businesses in the area what kind of prosperity they are enjoying and whether they have any opinions about the business that you are looking to buy. Gathering information from as many sources as possible will help you make the right decision. If there are other greengrocery businesses within a reasonable distance of the one you’re interested in doesn’t always have to be a problem. Competition breeds business because people will come to an area specifically to benefit from having several similar shops to choose from. Find out about the possibility of expanding the business into deliveries to local restaurants and hotels, they will look to local greengrocer’s to supply them with really fresh produce. Visit any existing customers of the business you’re thinking of buying to see if they would be prepared to carry on with you if you decide to buy. You will also need to make new contacts, doing your research at the beginning can only help save time later. Buying a business like a greengrocer’s is a great idea for people wanting to be their own boss. Greengrocer’s are part of the community, and with loyal customers as well as passing trade they are a great source of income, and give you the chance to get to know people. Home produced vegetables were worth £1.3 billion in 2016, up 7.5% on 2015, although overall production fell by 5.2%. 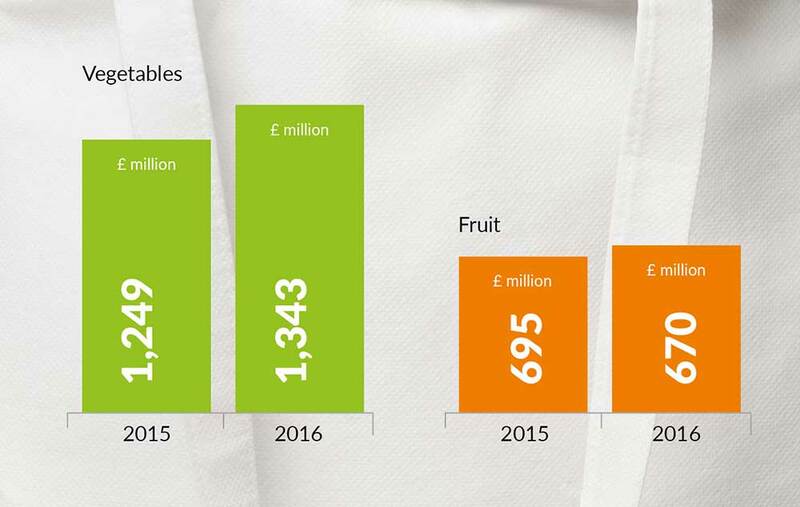 Home produced fruit fell in value to £670 million, a fall of 3.7% compared to 2015, with production at the same level as last year. Department for Environment Food & Rural Affairs. 31 August 2017. Interested in buying a green grocers or convenience store then click here to see our range of business for sale or get in touch with one of our sales negotiators who can match you to your dream business. Need help with finance to buy your dream business then click here to see how we can help you realise your dream of owning your very own business.